Home » A BIRD'S EYE VIEW OF ALL MY THIRTY BOOKS TO DATE! » Behind The Wheel! Books Coverage - The Oman Daily Observer - Arabic - Behind The Wheel! 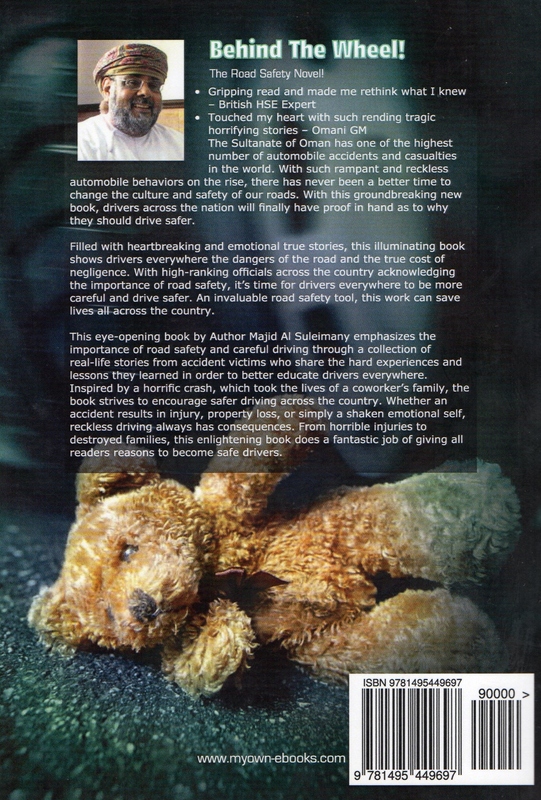 Road Safety Book with real life stories of Road Accidents victim stories – some highly emotional and traumatic and consequences on one’s life due to reckless dangerous driving and impact on family, friends and close ones!